Jack Harper (Tom Cruise) saves the day. There once was a time when science-fiction films were innovative and ahead of their time. Back then, even B-movies could attract audiences because they had something to say, despite their overall trashy appearance. Nowadays, it sometimes feels as if major studios seem to be more interested in shelling out large sums for rather pedestrian works in terms of storytelling that desperately attempt to make up for their deficiencies in that area by means of impressive visual and aural effects. TRON: Legacy by Joseph Kosinski was a prime example for that recent phenomenon in 2010. 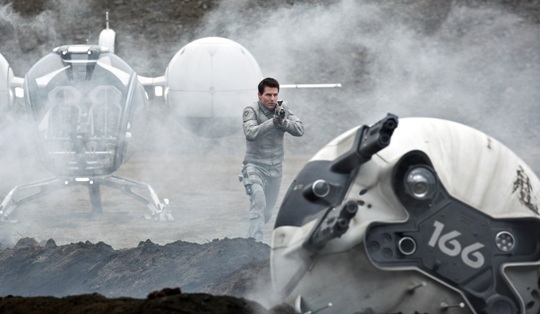 Three years later, the director returns with his sophomore movie, Oblivion and Tom Cruise on his coattails as the star du jour. Father to Son: Passing the Action Torch in John Moore’s A Good Day To Die Hard? 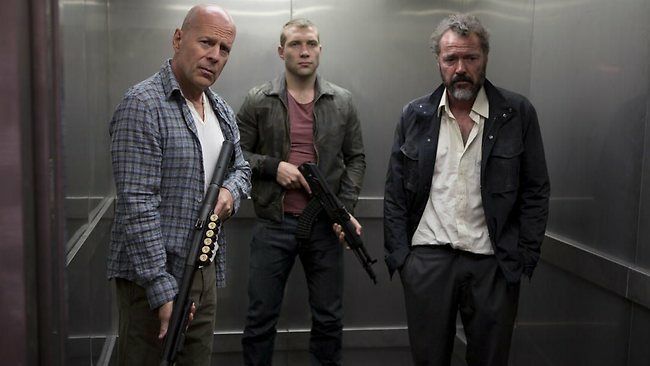 John McClane (Bruce Willis, left), his son Jack (Jai Courtney, center), and Russian refugee Komarov (Sebastian Koch, right) attempt to escape. ‘I fought with you, fought on your side,’ Freddie Mercury once sang in an early Queen song called “Father To Son.” In 2007, a then 52-year old Bruce Willis already played action hero John McClane as a daddy on a mission to save his child in Live Free Or Die Hard. Rescuing his daughter Lucy (Mary Elizabeth Winstead) was then, but now he’s back to save Spartacus: War Of The Damned star Jai Courtney as his prodigal son. Can an aging Bruce Willis continue his recent string of enjoyable old-school action movies such as R.E.D. and The Expendables with the John Moore-directed sequel A Good Day To Die Hard? This room is only one of the many enigmas that the Stalker and his companions encounter in the mysterious zone. Apart from legendary Battleship Potemkin genius Sergei Eisenstein, Andrei Tarkovsky is arguably Russia’s most renowned movie director from the Soviet era. The son of famous poet Arseni Tarkovsky polarizes, however. Opinions on him are divided. Some can’t really get into his films and only consider them to be dead boring. Others regard these works as masterpieces of cinematic history – Stalker among them. 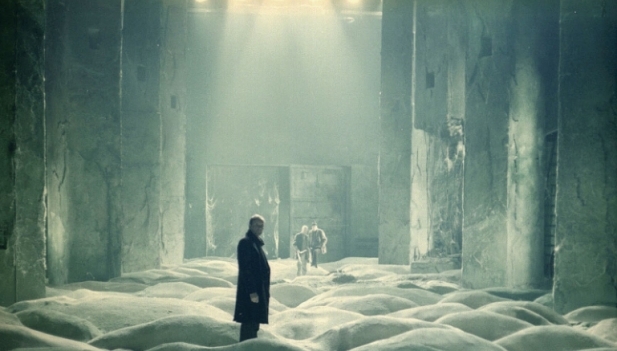 Andrei Tarkovsky’s 1979 science-fiction epic is unlike anything from the same genre we’ve ever encountered from Hollywood.